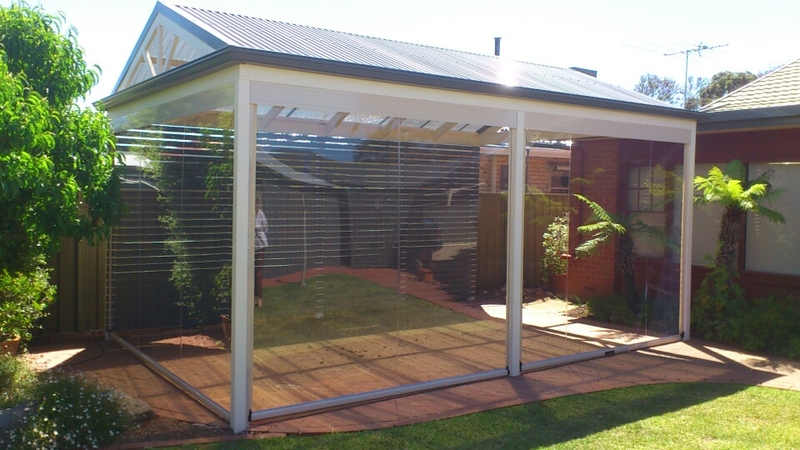 Why not weatherproof your Pro-Form Pergola or Verandah with quality Ziptrack Café Blinds? 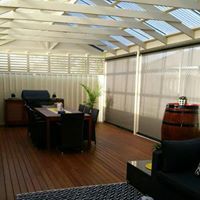 Protect your outdoor area from the harsh Aussie sun, wind and rain and enjoy entertaining in comfort all year round with sleek and stylish café blinds. Improve your lifestyle! 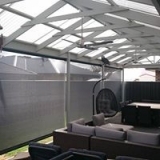 Keep your outdoor furniture protected and your guests comfortable all year round. 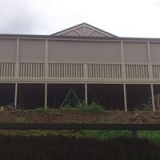 If you are a business owner, why not consider extending your space for customers or staff? 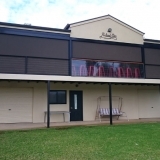 Ziptrack blinds are a perfect addition for alfresco dining all year round in cafe’s, restaurant’s and bars! That’s got to be good for business! This means super easy, hassle free manual operation! Or why not go all out and choose automatic operation with remote! Either way, you’re guaranteed to love your Ziptrack café blinds so much – you will wonder how you ever lived without them! 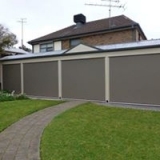 Ziptrack Blinds are available in in a range of colours and fabrics designed to compliment any residential home, office or business. 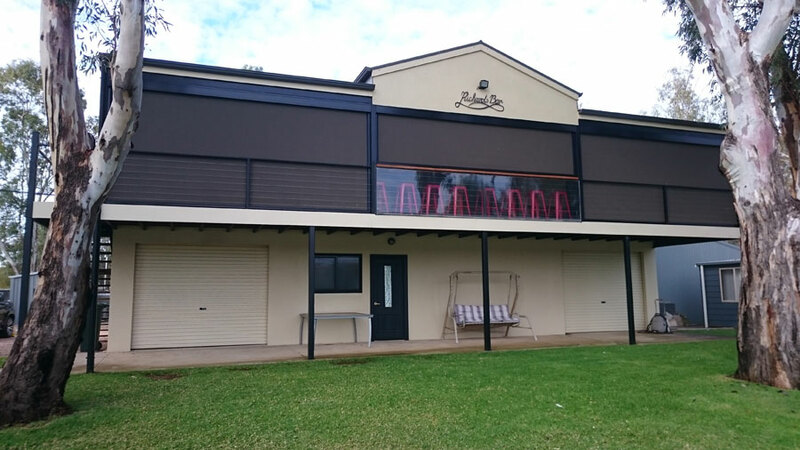 Choose from strong and durable, PVC Plastic or Shadeview fabric for a little more privacy – either way you will love the freedom and versatility that Ziptrack blinds will bring. 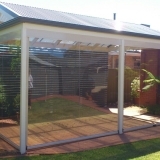 Ask about adding Ziptrack Blinds to your new or existing pergola or veranda. Call Pro-From Pergolas on 8258 9117 now and ask about beautiful Ziptrack Café Blinds in Adelaide now!